In Part 2: The 3 Likeliest Ways Things Will Play Out From Here we're going to explore three scenarios as a means of teasing out what's most likely to happen over the coming years as the above forces increasingly impact our way of living. Simple math tells us the status quo is unsustainable and therefore will change. What will those changes be? And what can you do today to mitigate their impact on your life and well-being? I have just finished watching Steven M. describe the situation and was wondering where to put it. This will do fine. This is the chorus to your song. This is the chorus to your song. Keep on singing it so any willing to hear will hear. The standard run from Limits to Growth will play out. Too late now. I've been very lucky to have lived most of my life during the Classical period of our civilization. We, the generation in power, have only one objective, to keep the Ponzi scheme going for a little bit longer. The future be dammed. Another 10 years traveling round the world (still climbing 8a hopefully) on the remaining oil reserves, then 20 more quiet years riding out the decline on my accumulated capital. This will do me. I have been looking at this a whole new way these days. Enjoy. Every. Day. Make use of the time available and the vastness of the available resources to get ready for a different future. If you are all set up, then enjoy air conditioning, air travel, the internet, and sashimi. As we use to say in the Infantry: "There is no need to practice suffering. When the time comes, you won't have any choice." Soon enough the roof will cave in, the barbarians will be at the door, and the whole edifice of bull will come crashing down. Until then, make the most of life and bank "good days". There will certainly be some bad ones up ahead. I'm going to go tickle my 2 year old. I love the way that you laid it all out Chris! Step by Step to the inevitable conclusion. We are executing our plans and preps as we move forward. Keep up the great work! You lead a great team! Ed, you can climb 8a? Holy smokes! That's truly impressive. I never got anywhere close to that level at my very best. It's not lack of energy, it's lack of consciousness and that problem can be solved in the present moment, tickling a 2 year old is part of the solution, it's not enjoying life in spite of the problem. When will we awaken? When will we stop asking how and start asking why and then be willing to live without an answer? I disagree. Lack of energy will cause the current edifice to crumble, no question about it. Whether that ends up leading us all to ruin and decay, or is simply a catalyst for change in consciousness is the question for me. My preferred outcome (although Tom tells me I don't get a vote - I think I do get one) is that we receive a big enough kick to dislodge the current paradigm in control, and as a direct result one of the fringe things that have been repressed comes into the light of day (LENR, space aliens, whatever) and we end up having both more consciousness as well as more energy. How's that for a "none of the above" choices? I think we will have population reduction, not so much of war or famine but because of the civil mindedness of people choosing no families or very few, natural selection (Ebola) and baby boom die off. 5 billion by 2050 or less. Waste is the lowest hanging fruit so will be rationed and rightfully so. Free anything is not happening, you come and work for your sustenance. Folks barter much more, the church becomes a place to worship and becomes the community center once again. Shared sacrifice is a humble and proper balance in which to function as a society and keep your dignity. Leaders are born and we have those so expect the best of the best rising up as the 99% elect realists and hold them to their pledges. History shows we have enjoyed our standard of living for a very short period of time. Many barns still have hanging the straps and harnesses of the day when we all worked hard to survive, so many teachers still live who can be valuable resources and get geared up again for what the future will always need, food. I know this, we are survivors, it's a genetic thing and we will move as one once the rot leaves the system after one serious shock to our system, after just having a serious shock. I have noticed many more are aware as we are since 2008, and we get another crisis and people will want to know when we get to work, get done what needs to get done. Optimistic? Yep. ps If you're ever in the UK and want a vacation in the Yorkshire Dales, I know of a great guest house you can stay at (free of charge to you). Great climbing, hiking and biking. Keep up the good work. One of the problems we, as readers, face is that virtually no one else is telling this story. It's completely missing in the MSM. Of the other rare sources I've found, none tell it as clearly as Peak Prosperity. Those of us who have been with Peak Prosperity for a while, need updates on the situation from somewhere, to both hold our resolve and retain a level of sanity, in a world almost entirely described in lies. Lies are all you get from the governments and MSM. Delusions are all you get from friends and neighbors. On that note, I've got to hand it to you. I've largely stopped trying to tell people what's happening. The aghast and angry reactions I've faced in the past have convinced me that people want to maintain the illusion until the bitter end. Even my wife is in the middle ground. Her response; "Is there anything we can do to fix the problem?" If not, I don't want to hear about it or think about it. Let's enjoy today and face tomorrows problems tomorrow. I sympathize. It must be tough to find different ways to say the same thing over and over again. But please don't stop. We need the regular reminder from somewhere. Well, nothing about this article surprised me. What surprises me is that no other media sources in the mainstream seem to have the ability to latch on to the obvious signs of decay and the failure of modern life. I have many intelligent friends whose attitudes can best be summed up by "Oh, I'm sure science will figure that problem out," or "I'm sure better minds than mind already are coming up with alternatives." These are people with Master's degrees, too. Just more proof that intelligence as generated by books and school lie across a vast chasm from intelligence as generated by wisdom, logic, and intuition. Seeing as how the latter is the thing we try to beat the hell out of our kids in school, I shouldn't be surprised. I try to be a teacher who does the opposite. Meanwhile at our household we've quietly settled in to a pattern of learning how to grow things (our Muskmelon, soybeans, green peppers, potatoes and tomatoes did wonderfully this season! Spinach and onions...not so much) as well as keeping stockpiles of food high in our pantry. I don't know what else to do, since we're not one of the lucky families who have a house off the grid, perfectly located with ample farmland, fresh water, far away from the paths the urban dwellers are likely to take should anything go REALLY wrong. It's the best we can do. And here's the punch line: I teach at a private school, and some of my kids are children of the "elite"-- bankers, investment managers, lawyers, etc., and even THEY know the gig is almost up. Sorry if any part of this post is jumbled. I haven't finished my morning coffee, and I'm grading essays on the effects Columbus's accidental discovery of the Americas affected the world. Multitasking for the win! No need to apologize for repeating the same message. Never underestimate how many times we may need to hear it, AND you never know how many new people are visiting the site every day; they are unlikely to go back and look at past articles, so renewing the message keeps them up to date. Those of us who have been visiting the site for a few years now can just avoid any article that feels redundant (though I never do). Something we don't hear about is how aquifer depletion can be permanent. Aquifers are quite often not just underground lakes. They are large volumes of sand-filled layers which hold water like a sponge. When the water is pumped out, the sand collapses, and the earth above it subsides, compressing the sand and converting it into sandstone. After that, it won't matter how many hundreds or thousands of years one waits, the water will not recharge the aquifer, because it cannot penetrate the now dense and collapsed sand. Areas like Mexico City and Houston, Texas, for example, are subsiding at alarming rates. At some point, there will be no option to draw water from underground. At that point, even if you have energy for pumping, no amount of pumping will produce water. In that case, it may be that lack of water will be what precipitates an economic and cultural collapse in that locality, rather than a lack of energy. Perhaps we should be talking more about peak water. It's peak oil, peak fresh water, peak agriculture, peak population, peak commodities. The Three E's - each of which contain multiple levels of crisis - all coming together. 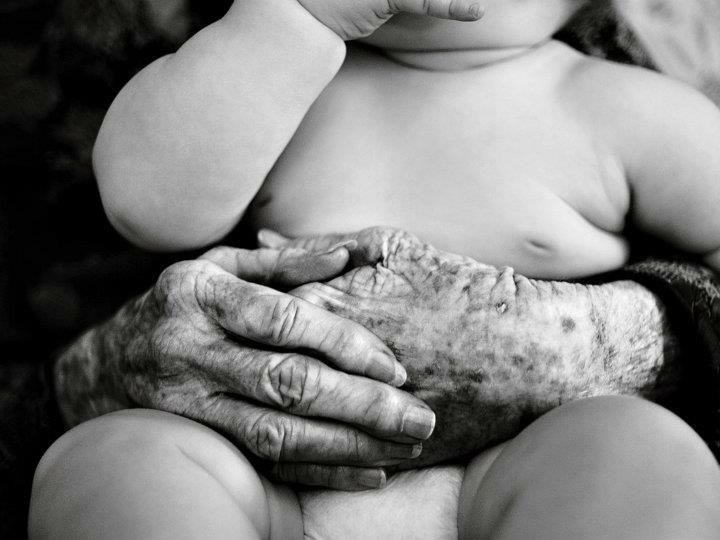 I need to go tickle a two year old now, because, indeed, there lies the most important thing in the world; caring for others, community, working together, and living life every day. It almost feels like a Hollywood plot when we watch the simultaneous convergence of all these problems in one lifetime. What are the odds that we would be endowed just enough fossil fuels to change the climate, just enough fossil water to last us until the fuel ran out? I struggle with issues of faith, but it's almost enough to make me think that this is a test of our character from a higher power. Unlike most christians, I believe that if we are to be judged, it will be by our actions, not by our unwavering faith in redemption through faith (circular logic if you ask me). We are the few paying attention to what is coming our way and that is a huge responsibility. We first have to prepare our families and then work to have a positive stabilizing effect in our communities. I have never quoted scripture here, but this seems appropriate. Faith can be a powerful organizing tool and we will need those as the false paradigms that currently cohere society crumble around us from the outside in. 1 Timothy 5:8 But if any provideth not for his own, and specially his own household, he hath denied the faith. I believe that if we are to be judged, it will be by our actions, not by our unwavering faith in redemption through faith (circular logic if you ask me). Amen Tallest. You are what you do. While head of the Justice Department, Holder’s reign helped usher in financial system fraud and criminality of unprecedented proportions. Yet, financial industry investigations and prosecutions declined precipitously under Holder’s watch to levels that were below even that of the Bush Administration, itself extraordinarily lenient in its tolerance of Wall Street fraud. Our entire financial and economic system is on the precipice of major collapse. It is no coincidence that Holder is leaving the mess he helped create before the napalm ignites. It’s similar to Bill Gross’ timely exit at Pimco, where his “famed” Total Rate of Return flagship bond fund is nothing more than a viper’s nest of dangerous derivatives. For me, the departure of both of these people signify that the flames of Rome are about to engulf our system. After a week in which, in order, 400,000 people marched in NYC to fight climate change, a U.N. climate summit was also held in NYC and, in a joint venture between Elon Musk and NY state, ground was broken on what is described as a gigafactory that will produce the cheapest most efficient solar panels in the world at a rate sufficient to replace a nuclear power plant a year, I'm feeling a bit better about our prospects. Oh yeh, the gigafactory will employ 1,450 people in Buffalo, a perennially depressed rust belt city. If successful, I'm sure it will spawn many copycats and subsidiary businesses that can go a long way toward solving the grand daddy of all our problems, climate change. Perhaps peak oil will also be ameliorated along the way. Crash programs to transition from fossil fuels to renewables are absolutely necessary for both the climate and energy. The numbers are daunting, but if we wake up in time, the world may not crumble around us. Sure, there will be wrenching dislocations associated with the problems described by Chris, particularly water. But we have had wrenching dislocations before and somehow survived them. It seems to me that we mere mortals can best survive any economic crash by insulating ourselves from the depredations of governments and bankers with all the methods described over the years here at PP. Get your money and assets out of the system, build your community and become more self sufficient. As I have written before, economic crashes are common, but we somehow muddle through. Perhaps most crucial of the resources is water. We can't live without it. Although we are seeing rapid depletion of aquifers and surface water in the American southwest and other arid regions around the world, there are still many places where water is abundant. I can't help but think that Elon Musk had that in mind when he picked Buffalo over many offers from California and other locations around the world to build his factory. The Great Lakes hold 20% of the world's surface fresh water and is surrounded by a huge land mass that gets abundant rain, lately perhaps too much rain. (One of the mixed blessings of climate change) It is easy to imagine yet another mass migration back to the rust belt for the same reasons that the greatest industrial engine ever to power the world's economy was built here in the 19th and 20th centuries. It is also a region that lends itself to small farming which is becoming more important as industrial ag is shown to be unsustainable. As I said, there will be huge dislocations, most of which I think will again involve people moving to find opportunity. As the necessity of reducing atmospheric carbon, finding alternative energy sources and ensuring water security become more obvious, I think people will respond and do the right things. Well, nothing about this article surprised me. What surprises me is that no other media sources in the mainstream seem to have the ability to latch on to the obvious signs of decay and the failure of modern life. I have many intelligent friends whose attitudes can best be summed up by "Oh, I'm sure science will figure that problem out," or "I'm sure better minds than mind already are coming up with alternatives." These are people with Master's degrees, too. A while back, I tried to discuss the debt bubble with my brother in law. He retired from a major oil company as a VP in the finance department. After a few sentences, he interrupted me and said that They would find a way to reset that." End of conversation. He never said who they were. That is the battle. My wife has exactly the same reaction as yours. It's just the way most people think. I had the same reaction when talking about hyper text and the internet in the late '80s. Some people like predicting the future, most don't care. Rector, why did God make the sky Blue? ...with a better understanding of the complexities involved. CM is dead right as usual, once you become aware of the numbers you discover how badly it all adds up. But even without the oracles within PP.com it's clear that people, perhaps those that gravitate to this web site, at some point in time realized something was wrong with "things" and sought explanation. Sadly it appears the human race has been on a binge for thousands of years and its simply taken those millennia to finally exhaust energy, living space, food and water at an exponentially rapid rate as population exceeds the capacity of the planet to "heal". But what drives that unsustainable attitude? Well it appears to be genetically imprinted into our animal brains. But as humans and unlike any other species we have the gift of choice. And what did we do with that choice, well we just invented a culture that accelerated the unsustainable course in pursuit of prosperity. So there it is man is doomed by his stupidity made infinitely worse, I would suggest, by his Victorian, Christian culture. A culture that actually condones exploitation of the environment and the pursuit of material and family prosperity. Had the human culture developed with a mind to conservation, respect for the environment; the idea that women and children are not chattel or some gift from God and that sustainability was more important than that extra child, car and rambling mansion we probably wouldn't be in this mess. We label the lost tribes of the American Indians, Amazon or the Kalahari as primitive but culturally they probably were more advanced if only because they practiced a culture of sustainability. They bred within the limits of their environment and they respected what nature provided to them, taking only what they needed and understanding the importance of giving nature time to renew. Maybe this was forced upon them in part by technological limits but it was none the less a way of thinking that is completely absent from modern culture. The history of humanity is littered with empires that fell due to resource exhaustion and one could easily draw the conclusion that societal death is simply a part of the human cycle. But I would argue that it is supposed to be an evolutionary process where each societal collapse conditions the remnant culture, at the cost of a lot of death and misery, to hopefully do things a little differently the next time. So here we are, thousands of years of cultural evolution leading us to this current Anglo-Victorian-Christian peak where the lessons of sustainability have yet to be learned or been forgotten. And ironically it seems, the humanitarian cancer on modern culture, in striving to make everyone's life a fulfilling and happy one, does so at the cost of even greater unsustainability. Its a culture that smacks of a disconnect between practical reality and idealism and it appears to be being nurtured by the democracy of human sheep relying on a broken culture to set direction. Collapse and the suffering it brings is therefore written into our culture, driven by the primitive nature of our being. It is the culture of throwing that wrapper out of the window and not in a bin, the culture of road rage and racial intolerance, the culture of "right to smoke", "right to bare children" and "right to own a gun". It is a culture full of contradictions that actually deserves collapse like a weakened old buffalo falling behind the main herd deserves its fate at the claws and teeth of the lion. The last two paragraphs of the above post are actually the remainder of the quote from Heinberg. Somehow they didn't wind up within the quote. Sorry for being pedantic. It's a special to me. Don't stop looking Robie. You are describing a reality "out there". There is the most repeated experiment in history Quantum Erasure, that says that it is all information. There is nothing "Out There." Your Reality is subjective. To say that it creates exactly what we need is to diminish it's perfection. It is what we need, it is what we need collectively and individually. We have created this world, not Eric Holder, George Bush, Janet Yellen, Ben Bernanke, name your devil. What we will get up in the morning and will do tomorrow creates this world, to blame someone else for the circumstances we are in is to denigrate our own power and self worth. What are we afraid of, death? Aren't there a thousand things worse than death? How about living a small minded life in meaningless self centered pursuits, ignoring those who need and love you? Living without self respect or dignity? What does this world owe us and what do we owe the world? Aren't all the things worth while in this world the things that no one can take from you in any circumstances? Do we need new miraculous technologies to save us, more resources made available to squander and waste, fight over? Haven't we already been doing that for thousands of years. The level of fraud, waste, ignorance of what we have been given is still beyond our comprehension. Do we have enough food to feed the world, enough houses to shelter them, enough cloth to clothe them? Yes, yes and yes again. What is it that needs to change? Do we need better technology, more stuff? Haven't we trampled what we have been given (whether you consider it a happy universal accident or a divine gift), do we even remotely understand what it means to love one another (isn't the meaning of that clear whether you are a secular humanist or religious). We love to get into the twisted nuances of these completely insane human constructs, trying to figure out their logic, as if they have some greater cosmic meaning. Do we want to be the smartest guys/girls in the room? So smart we are complete fools? Isn't the circumstances of our painful ignorance simply going to get more intense until we change, and if we don't change mother nature, god, the universe, quantum mechanics, what ever you decide to call the world, will simply start over. Is that necessarily a bad thing? It just is. If we are awake, being alive is enough come what may, and don't believe the news and what your mind tells you, it is both worse and better than we think, and that is exactly what we need and are looking for. I've always maintained that we behave just like any other animal population does -- we grow and support that growth by oxidizing complex carbon molecules until that growth cannot be sustained anymore. Either a collapse or leveling-off follows, and which of those two routes is followed depends on how renewable the carbon sources are and how far into overshoot the "progress" has ventured. It's one thing to say it but every once and a while it hits home in a new way. That happened the other day when I was listening to Nomi Prins' interview with Greg Hunter. In it she described how the western banks are desperately searching for some kind of new oil pipeline project in the Middle East to "infest" I believe is the word she used. This could then be multiplied fractionally and with derivatives and keep the global fiat ponzi scheme going for a little while longer, to inject a little bit of real value into the paper. So it's not just that the system must keep growing, but that it is actively seeking out anywhere on the planet anything that can deliver complex carbon molecules (aka, wealth) and basically start "producing" them. Of course, what's actually happening is the opposite of "production"; it's consumption, or more accurately, it's the destruction of useful potential energy gradients. The entire system is designed to seek out, extract, and ultimately consume and destroy non-human life wherever it can, leaving nothing behind; there is no way to get around this conclusion. It hasn't yet destroyed every living tree because that complex carbon isn't as useful as fossil carbon is. But it will at some point as our collapse progresses. The system is a monster, it's like some Star Trek space being roaming the universe looking for energy to feed off. We can have all the protests in New York we want but the bankers in charge of this system are not going to relent until a bloody and violent revolution usurps them, and unfortunately we aren't going to have that revolution until things get so bad that people have no choice -- in other words, when it's too late. We will have little warning of this due to the manipulation of markets up until that fateful day. Our leaders are completely corrupt. Here in Canada the criminal Complex-Carbon-Consuming Parasites (aka, "CCCP", or oil companies) have now taken over our governments in the last couple terms. BC has also recently moved in that direction. Like maggots in a carcass, the criminals have now moved on to greener pastures than the US, on to the last sources of concentrated carbon molecules left in the West. And what's amazing is that almost all mainstream economists still believe that the actions of central banks and oil companies to maintain the status quo are a GOOD thing! They believe in this fairlytale Keynesian multiplier and the delicate balance between producers and consumers that needs to be fostered by the central bank. They think that economic growth is a good thing! They simply don't have a clue. So many people are so close to the economic system that they can't see it for its true ugliness, and how closely, exactly, it follows the pattern of a population of any animal ("heterotroph" which feeds off complex carbon molecules) population that grows and needs carbon. Any advancements in renewable energy will merely be used by the banking system to justify more growth, to extend the wealth-extracting ponzi scheme a little further. They will do this via fractional reserves and derivatives to ensure that no renewable energy ever reaches a point that is sustainable because just like the paper gold derivatives, its true value will be multiplied many fold over to facilitate further growth. Sadly, there really is no hope. How can there possibly be when 99% of people just don't have a clue, and don't want to have a clue? They have been totally brainwashed, and their collective actions are making the situation even worse? I just resign myself to the Archdruid Report and accept that this is humanity's destiny; just marvel at it and be thankful that you were alive during one of the most interesting couple of decades in the history of the world, and aware enough to actually understand what's happening. we are being told what is coming. Media is mind programing. Its called programs for a reason. Its main purpose is to disinform, misinform and confuse (operation Mockingbird comes to mind). Huxley and Orwell were insiders and have revealed the blueprint. Our own mind is used against us. An example of how we are manipulated. They like to call it the nobel prize in economic sciences to make it sound scientific and noble. The fact is nobody has ever received it because it does not exist. Nobel did not like economists/speculators. What is called nobel prize in economics is an invention of the Swedish central bank. According to a head of state (female) the great culling is about to start. Relax. The next step is planned a long time ago. But I am not saying it will succed. This has been one of the best threads I have ever seen happen at pp or really anywhere. Honest, insightful, diverse, void of criticizing comments, supportive, and emotional. Having all these traits converge in real life inside of one mind is rare it's even more rare in a group that organizes by Internet and without a definite power structure. Hmmmm I wonder what is going on here and how this can be modeled? I certainly don't claim to be an expert but I'm sure it has something to do with the massive power potential associated with the combination of leadership, vulnerability and authenticity. But mostly vulnerability. Which is still a little strange to me because thru the work I have done on myself via men's circles I have experienced first hand how I and we have been brought up in a culture that teaches that vulnerability is a weakness in men especially. And then there is that word culture, like RogerA is rearing to. Thank you Chris for your willingness to speak freely and question everything. Once again a great summary Chris. Perhaps the best I have seen in some time. I would offer a different view of population growth. I don't believe any of the prognostications of 9 billion or the later 11 billion the UN talks about for the year 2100. The mathematics of population growth are not done on just birth rates. The key variable is birth rates minus death rates. It has only taken a small surplus of births over deaths to drive the exponential growth in population. The future you are describing, especially the approaching future crisis in fresh water available for food production, as well as the approaching end of economic growth and the rapidly dwindling availability of oil exports from the few exporting countries, and the resultant collapse of global financial systems, means only one thing to me. The birth rate minus the death rate globally will become negative in that future just described. And we will witness how fast exponential growth turns into exponential contraction. In only two generations the world populaton could be approaching 4 billion or less. And it will not stop there. 11 billion people in 2100 is delusional. This has been one of the best threads I have ever seen happen at pp or really anywhere. Honest, insightful, diverse, void of criticizing comments, supportive, and emotional. Having all these traits converge in real life inside of one mind is rare it's even more rare in a group that organizes by Internet and without a definite power structure. Hmmmm I wonder what is going on here and how this can be modeled? I certainly don't claim to be an expert but I'm sure it has something to do with the massive power potential associated with the combination of leadership, vulnerability and authenticity. I believe that the catalyst for this community is a leader with clearly articulated and self-evident ideas who teaches the subject, but doesn't dictate the reaction. Imagine how powerful that same style of leadership could be if it went beyond a small internet community into the real world and could avoid dilution and bickering so common in main stream politics, media and American life....if only. You were born free … a bundle of tremendous potential. I just checked the original reference for the "Your New "Normal Life" (In Pictures)" story on the Burning Platform site, @ http://www.theburningplatform.com/2014/09/25/pictorial-essay-your-life/ and it goes a little longer than the version on ZH, 3 more annotated pictures. They were motivational, so I liked them -who can't use more motivation these days? So I wanted to make sure others were aware of them as well. Yes agree, need a quick rehash every now and again. Keeps me sane. Now back to mainstream programming I go. Aloha! In the day there was Luis Rukeyser Wall Street Week! Anyone recall those TV shows? What we need is a similar alternative show. I just got back from LA where I have a partnership with a digital TV studio based at the backlot of Paramount Studios. The studio is run by a former Paramount marketing exec as well as the former founder of Aspect Ratio and Ignite Productions. I have informed Chris Martenson and Mebane Faber as well as Bill Cara of the opportunity. Instead of complaining about MSM make our own media! In the spirit of "build it and they will come"! We have cutting edge TVU technology supported by TVU Corp whereby we can turn any iPhone 5+ into a HD camera. Just now the NFL is starting to use this app. It renders Skype obsolete. Now no excuses! What good is this "community" or any community if the resources are not fully engaged? Crowd fund the show? I have one of the premier crowd funding experts on the planet to do the logistics ... I myself am a producer for NaleoTV channel 54, here in Hilo, Hawaii. Again ... what good is community if all you do is talk the talk??? ...your first post here and you're throwing up links to "Fusion Will Save Us!" websites. How far will any (stupendously expensive and with a long, looong implementation timescale) Energy Savior project get without finance? If you've spent any time here you're aware there are 3 Es, not just the Energy E. And with respect to all three Es we as a species face rather ticklish predicaments. And predicaments do not have solutions, only outcomes. A sudden reprieve from the energy E would be a fine thing, and might help alleviate the economic E (viz: cheap unlimited energy would allow growth to begin again and that would provide the inflationary path to [maybe, MAYBE] unwind the ludicrous levels of debt built up over the last 40+ years). But that still leaves the environment E looming like Damocles' Sword. IMO this piece (and the companion piece in part II) are fine examples of Dr. Chris' "game". And my opinion plus ~ US$1200 will buy you 28 grams of Au. I guess speaking "cryptically" is a waste of time, but there are so many misperceptions that are built into our language and awareness that addressing them all is extremely cumbersome and time consuming, but then again, consciousness needs to express itself. "Cryptically" is not really the right word, but it's use is necessary here because the proper word is so badly understood in our current level of awareness that it would create additional difficulties. Worrying about those high up in the current food chain, and their control over our lives and economy is a complete waste of time, whether they be bankers, politicians, or multinational corporate heads and their international meetings where the deals are done and theoretically the world is run. So many points of connection (at one level) have been destroyed that this global political and economic system has been completely destabilized. If one were to speak statistically (which is an unhealthy way of thinking) one might say that the probability of rapid and perhaps catastrophic change has become extreme. But living systems don't work that way, they are self correcting and typically early stages of self correction are not noticed or understood because they exist outside the current paradigm. But that is why collapse is always miss predicted, (earlier and more often then is actually the case), even when awareness reaches the point where the instability begins to enter consciousness, because it is still processed with the reductionist thinking that created the need for paradigm collapse in the first place. But there again language fights with us, the word paradigm gets bandied here and there but is not deeply understood. That shallow perceptual awareness is what is killing us. Assumptions and current perceptual realities are built into modes of thinking and into a very language and vocabulary we use on a daily basis. Reductionist, power centric, single solution thinking is so ingrained in awareness that we are not conscious of it. The drive for a unified field theory is the problem with our banking and political system. This drive towards singularity is actually (and necessarily) born of dualistic thinking ironically, but apologies for not having the time of the patience to explain that, but lets just say that we have long ago discovered that the earth is not the center of the universe about which all things turn, but we have not yet understood that the physical brain in the head of a man is not the place upon which all reality turns. The reality is that consciousness and even what we call conventional thinking does not occur only in our heads, but is dispersed throughout our bodies and consciousness extends within and beyond our physical forms. It even exists beyond ourselves (surprise, surprise). Our bodies are not simple machines controlled by the command center located in the head, which is the reductionist and self destructive model upon which all our political and economic systems are built. Instead our bodies are rather complex ecosystems that have more foreign DNA than our own. There are thousands of points of connection between conventional awareness, our consciousness, our physical form and the physical and conscious world forms around us, which is an expression of the nature of reality. It is the destruction of all these points of connection in the broader world around us, which we have inflicted based on a misunderstanding of who and what we are that is destabilizing the current paradigm. Or perhaps put another way, our lack of understanding of who and what we are has lead us to create inherently unstable systems that are subject to regular collapse. Perhaps this all seems hopelessly abstract and we need a concrete example. Our current agriculture system is based on body as machine, mind as computer control system which we perhaps begrudgingly admit to possess some level of consciousness, provides a perfect example. Diversity of major food production crops such as apples, potatoes, tomatoes, corn have been reduced by 90%, engineered crops, in this plant as machine paradigm are now wholely dependent non renewable imputs of herbacides, insetisides, aquifer irrigation and fertilizers that grow on increasing lifeless, toxic and eroded soils. Design engineering and control of these systems have been pulled from the fields and put into the labrotories of a few multinational corportions which are now the top down mind as machine "brain" of the operation. Points of connection between the us, ecological systems, the food system have been destroyed, take a McNuget into a class room of young kids know what it is, but show them a potatoe and it is unreconizable. Extraodinary amounts of food are wasted because its value or effort to produce it are not understood. The quality and nutritian of the food is being destroyed, obesity is out of control, even the ability to cook a simple meal is being lost by large portions of us. But at the same time there is the creation of a sense of entitlement, that we all are owed three meals a day. Stability and diversity of this system is all but gone. All these effects travel together and are from the same source, though each could be explored in a small book of their own. They stem from our understanding of ourselves. This same analysis can be compared to any of our systems, for banking, just substitute food for the dollar and corporate labs for the central banks, there is no substantive difference. We create what we believe ourselves to be. The words "you are the world" invokes all this, though its meaning has been destroyed by senseless repetition of those words by those who do not understand their meaning. We are not machines but our projection of that onto the world by creating the systems we do is destroying both us and the world around us. Things are worse and better than we understand because those destructive forces always and necessarily contain there oposites, it is so important to talk about that but I have run out of time. We and the world are living conscious beings and what needs to be done is both much and much less than we understand. Everything is still possible. Thanks for the link to "my life"
I see this time as a window of opportunity. The last 5 years have been unbelievable. Seeing the matrix materialize is amazing. A link to info on the liberal arts, which was removed from our education about 150 years ago . It's funny. In many ways I'm quite ready -- especially in some of the more challenging areas like spiritually and psychologically -- for the next turn. And my preps are pretty decent considering the upheavals in my personal life over the last four years (short sale of house [and concomitant loss of life savings, more or less], divorce, three moves). I've got a bunch of the major bits in place -- as many as possible, considering. I think as long as TPTB keep the lights on, the food trucks rolling, gas under $5 (or whatever number allows the new normal economy to keep staggering forward), the MIC cranking and the Media/Entertainment complex blaring, there won't be any major upheaval. Seriously: what did the Tea Party or Occupy accomplish in terms of changing or reining in the system? Pretty much zilch. Co-opted, scattered, worn down and worn out. Folks like us? We must keep on keeping on. Be ready to educate others & hopefully help others make the changes we're all busy making as we shift out from under the oppressive weight being heaped on our shoulders. Unplug from MSM, get busy with alt food sources (CSAs, local farming, backyard gardens), lessen all our dependencies on the system, which will be making life as it is currently lived more and more expensive (requiring more work to maintain the status quo, leaving less and less time to live a beautiful human life). In a few months I'm putting the last phase of my action plan into, uh...*action*. Making a long-distance move out to the edges of the American Bubble. It will be the final piece of my several-years-in-the-making effort to set myself up where I want and need to be. Of course, it also signals the beginning of creating a new community (or joining one I find simpatico) of like-minded folks, re-building my biz from scratch one more time, and re-starting all the sorts of resilience-related projects that can only be done when you know you're putting down roots in a particular place for the foreseeable (most obviously, a big honkin' garden). So maybe I'm soothing myself by saying it's all going to carry on like it has for the last half-decade or so: bumpy, more and more surreal and sad-making, harder to make a go of it as a Damned Independent Thinker (and biz-man), and so forth. It just seems to me that TPTB are enjoying things carrying on as they are, and since they hold enough cards and control enough levers to keep jacking reality in their preferred direction, it's a Slow Burn for the next 5-15 years. At some point the realities of peak cheap energy will cause a disjunction, but between desperate measures like fracking & shale oil etc., and demand destruction, I don't think that disjunction is right around the corner. Hollywood seems to be as good a barometer as any for the mood of the country as any. The message here: we're screwed, but a few of us might make it to another planet before we completely destroy this one....because technology.